F.X.BUCKLEY. Steakhouse at The Bull and Castle offers Irelands best steaks, with the experience and knowledge of over 25 years of serving the perfect steak. We change our menus seasonally to reflect the best Irish produce and to ensure the highest quality in both our beef and local fresh seafood. We offer an extensive selection of beers from the beer hall with a wide menu of cocktails, premium spirits and wines. Our food dishes come with beer recommendations so you can fully enjoy our quality dishes with the beer that best suits. Our weekday lunch menu offers both healthy and tasty options at a reasonable price which appeals to all tastes. 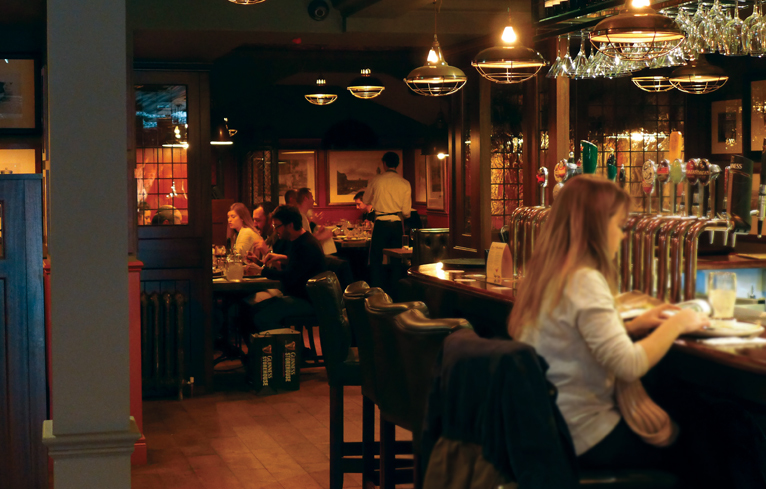 The Beer Hall has one of Ireland's widest selection of Irish craft beer and premium beers from around the world. We also offer a comprehensive cocktail and wine list. The Beer Hall offers craft beer and whiskey tasting trays available for you to sample different styles. Our unique Beer Hall design, with its long tables, is ideal for large groups or watching major sporting events on our big screen. Amazing food and excellent  service. The best T-bone I’ve ever had. Staff are friendly and the food is high quality. Great service! Verry friendly staff. The meat was realy tasty. Great, service, great food, great value! We were impressed. Nice food, good service. I can see why it is busy. Great steak and cocktails, attentive and professional servers. My 2nd visit and I plan on returning again. Amazing service. Catered for my partners nut allergy and had a specific allergen menu to assure us and make us dine at comfort. 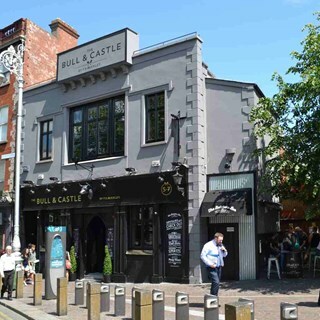 Had a bad experience in crow street FXB previously but Bull and Castle went above and beyond in catering for us. Very impressive personal display of steaks to us and explanation of each cut of beef and what to expect taste wise. Great selection of wine with great recommendations. 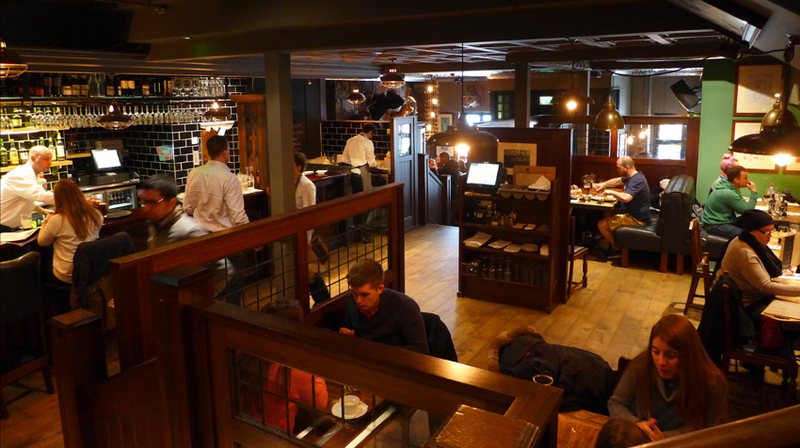 Regular checks from the staff and not long to wait for the beautiful porterhouse t bone sharing steak. Is it possible to give a sixth star? Will be back. Super service. The manager who welcomed us at the desk is always super friendly. Gave us a nice table and in general all the staff are super. Food is great anyways. I'd say the best restaurant service in Dublin...by far. A really genuine feel to the establishment. Great experience from our first moment of arrival. Great service staff and food was exactly as ordered. Well done to all. Great food, atmosphere and the steak is amazing! Food was great and service very good, we weren't rushed at all, will definitely be back. Staff were super friendly and food was amazing, what more could you ask for? The staff are very friendly and helpful. The steaks are delicious  - well worth coming back for. Really enjoyed the meal, thanks for accommodating the extra person on our booking.